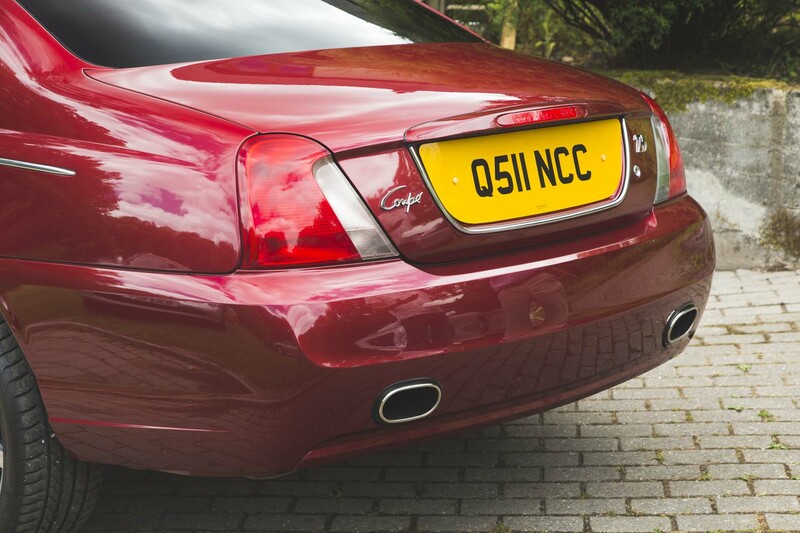 To you, me and Lloyd, this is a Rover 75 coupé. To the DVLA, it’s a Lloyd Viking 75C, as its creator has christened it. I have just driven Rover’s latest model. It’s the handsome production version of a concept the company revealed in 2004, finely executed from its flush-fit windscreens to its frameless door glass and bespoke alloy wheels. A premium model, like the car it’s derived from, this handsome two-door is classy enough that many might reckon it to be a mini-Bentley GT. Only rarer. So rare, in fact, that there will likely be no more than one example of a car not developed at Rover’s last home of Longbridge but in a tiny village in south-western Wales, near Haverfordwest. Its birthplace is a slightly larger than average domestic garage, in fact, its conception occurring in the head of one Gerry Lloyd, who is a retired builder. Despite Lloyd being more familiar with bricklaying, roofing, carpentry and the laying of concrete, this is not his first foray into the world of one-off cars. His bespoke Rover operation has previously produced a 75 with two front ends and a 75 pick-up whose chrome, grille included, has been replaced with hand-carved wood substitutes. Odd, but undeniably interesting. But while the wood-garnished pick-up and the Hydra-headed 75 range from the mildly eccentric to the entertainingly mad, the 75 coupé is on another plane in terms of realisation, its functional detailing better than you’ll find on some concept cars. So is Lampeter Velfrey the site of a crack team of vehicle engineers? Kind of, except that the team consists of one man: Lloyd has engineered and constructed every element of this modified 75, using a mixture of carefully selected off-the- breaker’s-yard-shelf components, parts he’s fabricated himself and unf lagging determination. Lloyd is not an automotive engineer, in the conventional sense at least, his career having been in building, quite often of house extensions in the Oxford area. After he retired 20 years ago, he built his own house, the hardest part of which, he says, “was clearing out the cement mixer at the end of the day when I really wanted a beer”. But house building was nothing compared to constructing this coupé. Why a 75? “When I built the double-ender, I wanted the cheapest car I could get,” he says, in case his experimenting didn’t work. If he ended up with a pile of scrap, the loss wouldn’t be great. Lloyd admits to knowing little about 75s before picking up his first but he gradually discovered what well-built, finely engineered cars they are. 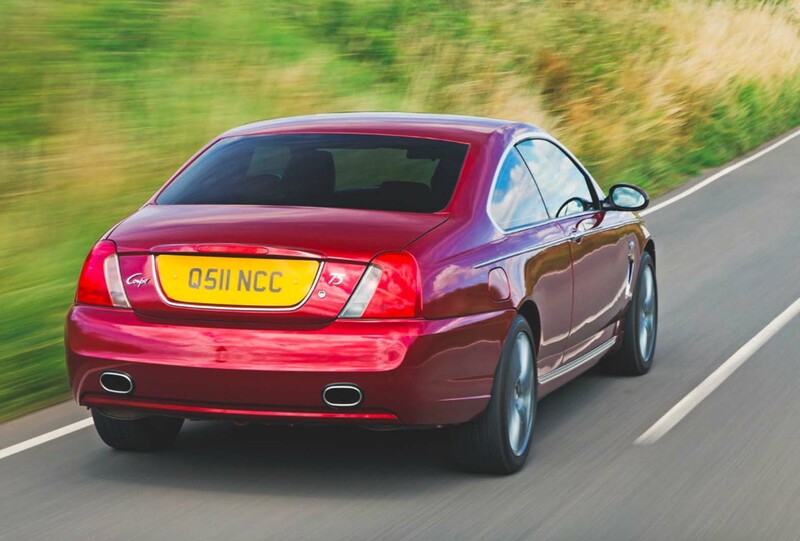 That led to his joining the Rover 75 and MG ZT club and coming across a ‘what if’ thread on the 75 Coupé concept MG Rover developed shortly before it went bust. Thus was born his project. Although Rover-badged, right down to the wheel centres and the ‘Coupé’ boot badge from an old P5B, the guts of this car came from a ZT 190. As if he hadn’t given himself enough work already, the job started with transferring the V6 mechanicals, suspension included, into a 75 that had started life as a 1.8T before the angle-grinder attack began. But first came the search for the roof, rear side windows and rear screen of a coupé that might work. “I selected the best-looking rear three-quarter view and then fabricated the body to make it fit,” says Lloyd of a task that would defeat plenty of steelsmiths. Ironically, given BMW’s one-time ownership of Rover, a 3 Series Coupé was the source. That “the Rover roof is three inches wider than a 3 Series” was just one of dozens of challenges facing Lloyd, from shifting the B-pillars rearwards, to butting the 75’s bootlid to the base of a BMW rear screen, to adapting a headlining to fit – “the hardest part” – to getting Rover ECUs to talk to the BMW variety in the coupé’s reskinned 4 Series doors and to laboriously reshaping the lower A-pillars to eliminate wind noise. The impressive red leather interior is also from a 4 Series, Lloyd sourcing a wood veneer vinyl from the US to match door garnish to Rover’ walnut dashboard. The attention to detail is impressive. So is driving the car itself, the beefier dynamism of a ZT suiting this muscularly elegant Rover, which proves sportily refined and, indeed, wind-noise free. 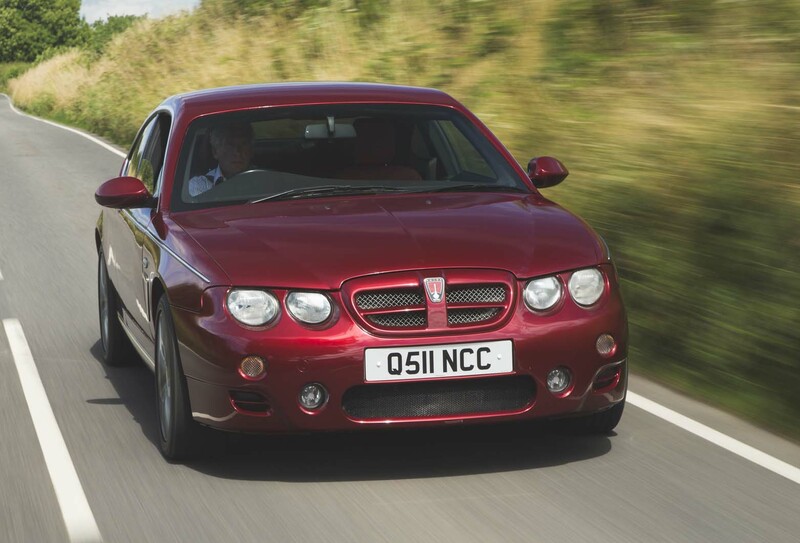 It makes the reasons for the stillbirth of the MG Rover version all the sadder. But at least a few us will get to see what physically might have been. The 2500 hours Lloyd worked – “seven days a week for 18 months” – building this one- off will ensure that there will only be one. But with astonishing results for a man working in a shed. 1971 MORRIS MARINA - Not just a two-door Marina, but a budget coupé, too, boasted British Leyland. So budget that it didn’t bother lengthening the doors, or sharpening its dire chassis. 1977 VOLVO 262C - Improbably inspired by the vinyl-roof-clad Lincoln Continental Mark IV, Volvo had Bertone build this oddball, low-roof two-door. 2012 MINI COUPE - We’re admirers of former Mini design chief Gert Hildebrandt’s work, but not this weird be-helmeted device. Mercifully short-lived. Wow! That could be released right now - hot cakes, and all that. I am very impressed. How can one builder bloke have vision that whole car companies cannot? One of the smaller car companies should employ him as an advisor. Was it vision they lacked or the cash needed and apparently taken from them, that sealed the fate of a once proud firm?. Not at all surprising that you know nothing of the thousands of British inventors, engineers and scientists, beavering away in lockups, sheds and hangars. They have been a part of Britains heritage for many years and continue to delight and surprise us, with no company fetters and rules to blight their talent. How can the same man produce this lovely, svelte coupe yet also produce that beyond-ghastly pick-up?? Again, i have seen this up close and personal, and it is amazing, yes it is down to personal tastes, but it harks back to an era (unless you are Morgan) when wood was a huge part of cars, it is not ghastly at all, it is different, in the same way the P100 was different to the last gen Cortina and Sierra Pick ups - and to be honest, he is happy to put his time, effort and money into something that gives many pleasure, Ghastly NO WAY, different, YES, fun YES, practicle DEFINITELY.... I hope he decides to develop a convertible version of this, now that WILL be even more stunning. Well, having seen, and been in the original, concept, this one is spot on the money, and what should have been released, and to be honest still could be with a bit of fettling to give it a more 2020 look to it, but saying that, the car could do with one thing, and thats the full length chrome grill that adorned teh origianl concept, and then this would be perfection, I would dearly love to know how much money was put into this - and yes, i would have one, I loved both the concepts they released, the 75C and the TfC, both these could and should have been made before the end.They would not have sold in enough numbers to stop the failure, but the added income, might well have made just a little difference in the time line, and who nows, that little extra might have developed into a great company not heading to scrap heap - oh yes, did i say - I WANT ONE. Very clever, pretty good looking too, personally I think the BMW seats, door trims and door mirrors look outof place though. If only Rover had made a 75/ZT coupe and the MGF hardtop, instead of wasting money on vanity projects like buying Mangusta, idiots.